Comet Halley | Where Is It Now? 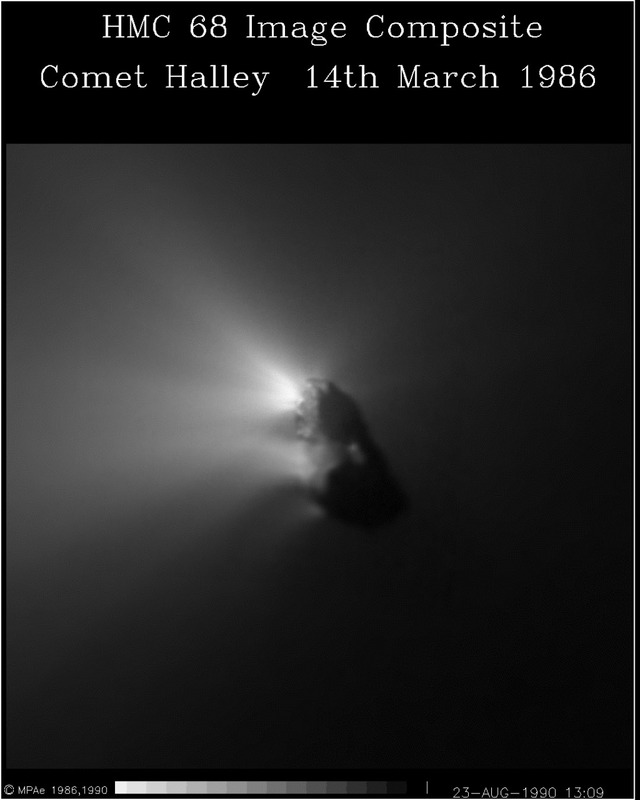 The previous visit by Comet Halley to our part of the inner solar system was in 1986. The time before that was in 1910. The next visit will be in 2061. I have not ruled out seeing it again. 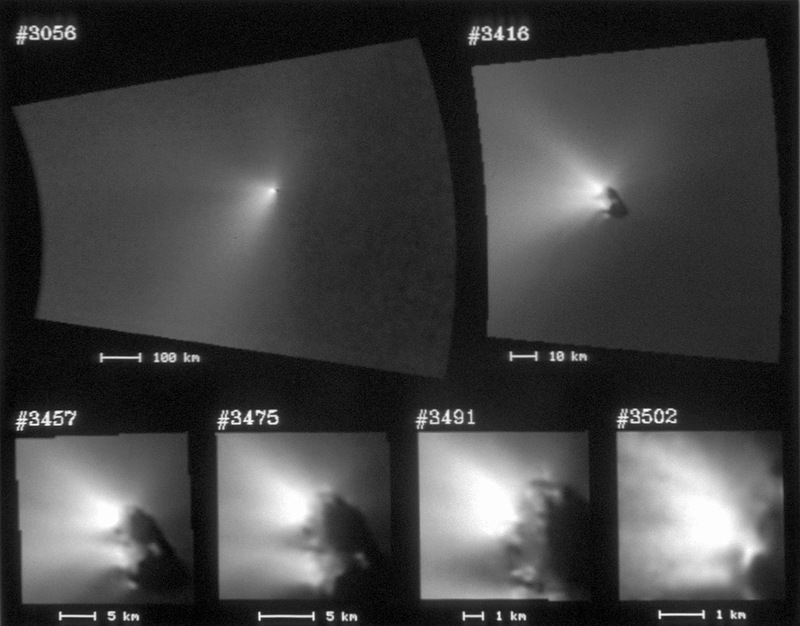 The European Space Agency’s Giotto spacecraft flew within 600 mi (965 km) of Halley and through the tail in March 1986. The dimensions of the comet nucleus were seen as 15×8 km (9×5 mi) and shaped like a potato. Giotto confirmed the existence of organic matter and revealed the surface to be one of the blackest objects in space. Image enhancement was used to brighten the surface to reveal more detail in these fly-by images. 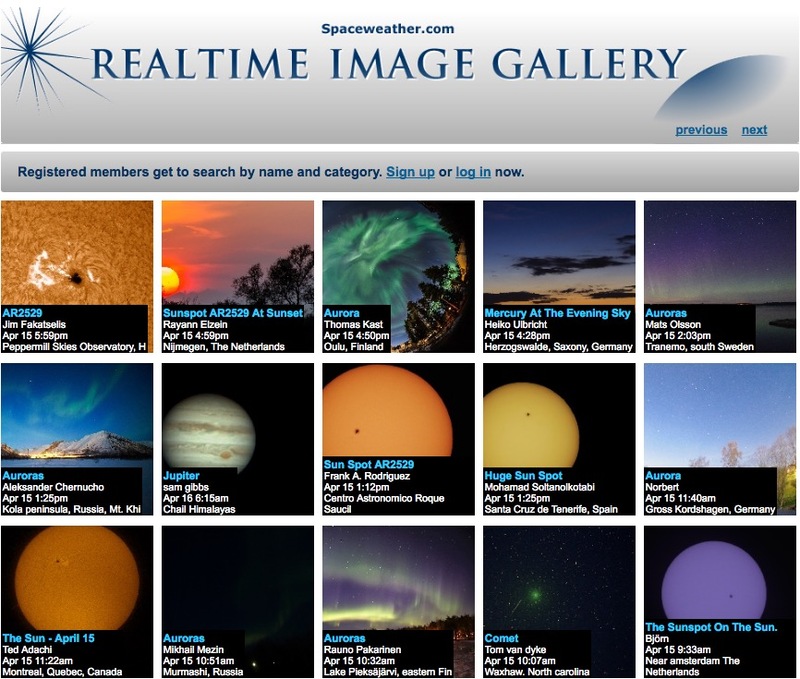 Images are from ESA and affiliates. This graphic from Boeing illustrates about 300 communication satellites were in geosynchronous orbit in 2012. They include Echostar and DirectTV, as well as those for Canada, Central and South America, Europe, Asia, Africa, and Australia. The ones colored blue are Boeing satellites. This graphic does not include the GOES weather satellites. They are parked in the same orbit as these shown. Click to enlarge for much more detail. The detailed view shows the satellites spaced apart by small angular amounts directly above the equator. Over densely populated regions, where there are more satellites in orbit, they are 0.5˚ apart in the sky, the same as the width of a full moon. In less populated regions, as over the Pacific, satellites are 1˚, 2˚, up to 3˚ apart. All satellites are to remain in their assigned location and not drift east or west into the zone occupied by a neighboring satellite. Low-power rocket thrusters work periodically to keep them on-station. Click enlarges for detail in a new tab. Launched 15 October 1997, the Cassini Mission is in its 20th year. It reached Saturn and entered orbit on 1 July 2004. Details of the mission can be read at this Wikipedia summary. This post is mostly about the maneuvers by Cassini to change its orbit and make 22 close encounters with Saturn in what is called the Grand Finale. End of mission is scheduled for 15 Sep 2017 when the spacecraft plunges into the atmosphere of Saturn ending a long and brilliant exploration of the famous ringed planet, its rings, and 62 moons. Venus is closer to the Sun and orbits faster than Earth. Earth takes just over 365 days. 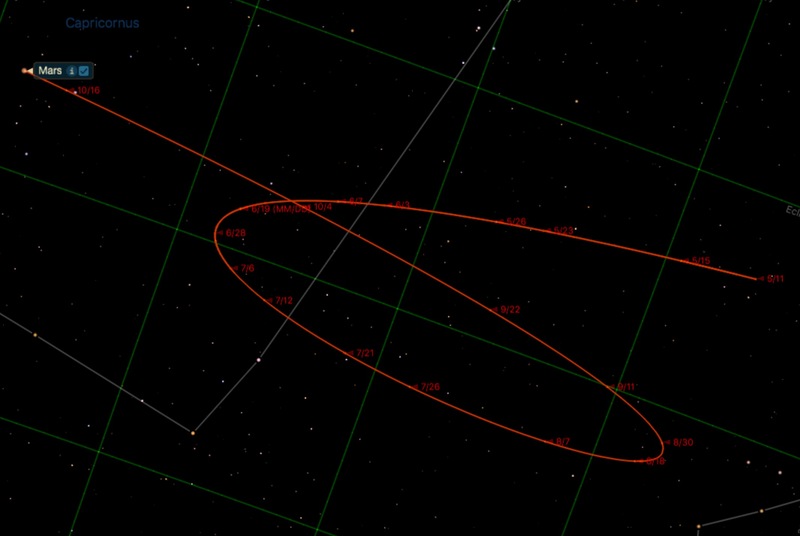 Venus orbits in just under 225 Earth days. During the recent few months, Venus was bright and easily visible in the evening sky as it caught up to and passed Earth. In doing so, it came closer and appeared larger when viewed with a telescope or binoculars. This animation from a desktop program illustrates their motions. Mercury is not shown in order to simplify the view. The sizes are exaggerated.